Bill's On Broadway has job openings available for an experienced ASE Certified Technician! We're looking for honest, dedicated, customer-service oriented people to join our team at Grove City, OH. We offer a 5 day work week with weekends off, great pay without cutting into family or personal time, a modern, well-lit shop with well-maintained equipment and plenty of room, and lifts for our technicians. If you are looking for a long term career and if you have a strong desire to succeed don't let this opportunity pass you by! ASE Certified Technicians are responsible for performing our most technically complex repair work, as well as overseeing the quality of repairs and maintenance performed by other technicians. 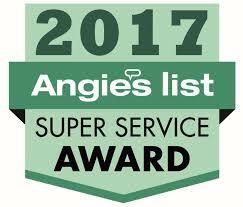 ASE Certified Technicians are responsible not only for the service we provide, but also Bill's On Broadway's reputation as a trustworthy and dependable auto shop. A successful ASE Certified Technician will have a very strong understanding of automotive maintenance & repair, strong attention to detail, be a self-starter, someone that understands the importance of strong relationships with their customer and co-workers, ability to train other technicians on proper repair techniques, and a dedication to honesty and fairness.